Living with an insectivore houseguest is not an easy thing. 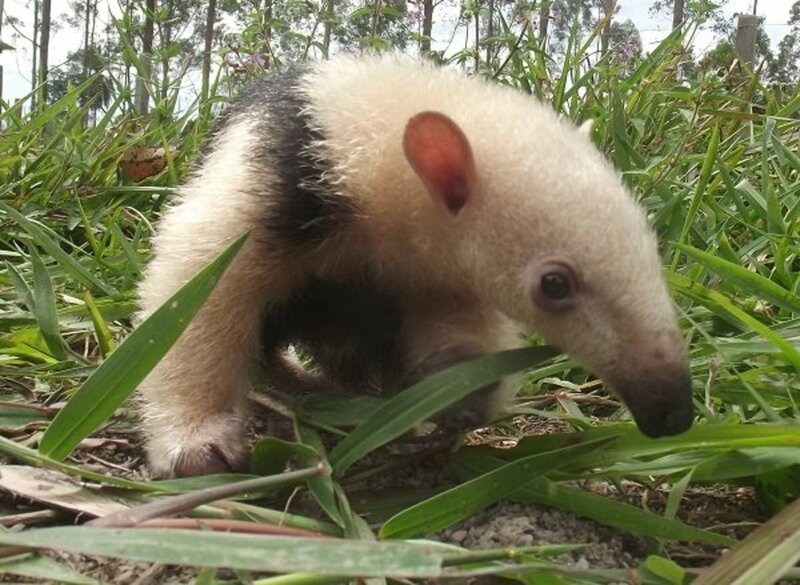 With all of the interesting animals in the world, you may wonder, why go the effort to befriend an exotic pet like the tamandua, the smaller of the South American anteaters? Why Do Tamanduas Make Nice Pets? There are many reasons to host a tamandua. For one, the species is affectionate. You may discover that they like to nuzzle your neck as you read a book, hold on to you as you walk around, and snuggle up for a nap on a hot afternoon. Unlike some animals, they never bite—they have no teeth! In the wild, they depend on their sharp, front claws to defend themselves. 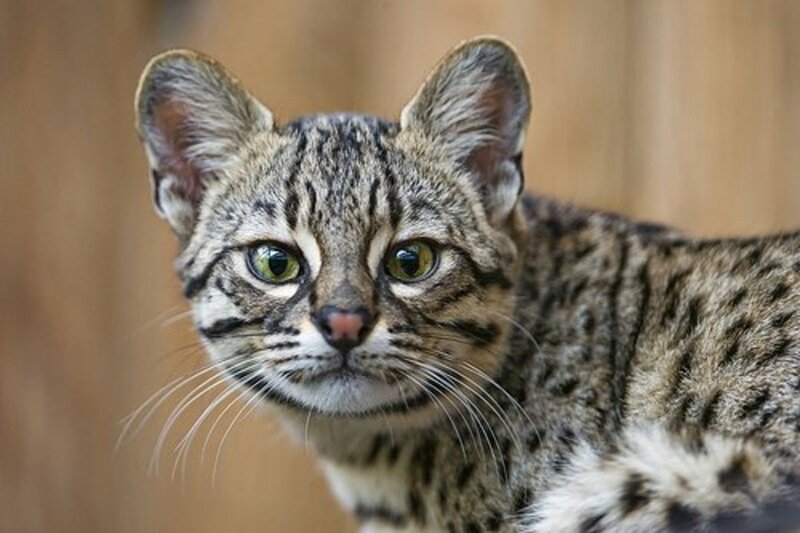 Since their front legs are so strong, they have few enemies other than humans, and are as calm and confident as the greatest hunters of the rainforest. Do those front claws ever hurt? Not on purpose. They are sharp, and if a young tamandua is taking a ride on your shoulders and feels off balance he/she is going to dig in to keep from falling. I keep the tips of my tamandua's front nails clipped. Although it does not hinder her ability to rip open a termite nest, it has saved the skin on my neck. These animals are solitary in nature but they are playful, even as adults. When I stretch out on the couch to read a book, my tamandua likes to roll around until I am willing to play with her. Her tail is partly prehensile, so she wraps it around my wrist and pulls my hand down so that I will rub her belly, tickle her underarms, caress her chin, or just scratch her behind her ears. Even though they are insectivores, tamanduas are not hard to feed. Their main diet is termites, and since I live in the rainforest, I have access to plenty of nests. Even so, I am not able to go out every day and find food for my tamandua. In the wild, tamanduas might also find fruit on the ground. Since they don't have teeth and eat with their sticky, barbed tongue, any food you provide should be a liquid or of similar consistency. My tamandua loves orange juice and fruit smoothies. At times, I may not give enough, so she will abandon her termites and dig through my compost pile to find some freshly squeezed fruit. She also loves passion fruit, papaya, and almost all sweet fruits. Some zoos make up a termite substitute diet, but other keepers feed eggs, ground beef, or a powdered milk mixed with cat food. You can ask your local zookeeper if you live in a city, but beware, you might run into someone who will tell you how terrible it is to keep an animal like this as a pet. Those kind of people are wrong. My tamandua will lap up anything in a bowl, but I put her food in a child's sippy cup that she can sit and eat from it without spilling a thing. She holds the cup up with the claws of her front hands. In the rainforest, the wild tamanduas are often hungry and have to search all night long for accessible termite nests. My little buddy has her pet human fetching her food, so she spends the day outside in the wooden fort/nest I built for her in the banana grove in front of my house. She is well fed and spends a lot of the time napping in the sun. In the afternoons when the sun is going down, my tamandua walks back to my house using her sense of smell; if I am out in the jungle or taking care of my livestock, she climbs up on my sofa and takes a nap while waiting for me to come home. What Type of Housing Does a Tamandua Need? This is not a big issue like with some exotics. A tamandua does not need much more than a house cat. I built an outside nest for my pet, but if you set up a small climbing area in your back yard, they will use it and then come back in the house using a small doggy door. Do not forget that these are tropical animals, and if you live an area with cool weather, your tamandua will need to come into the house to stay warm. 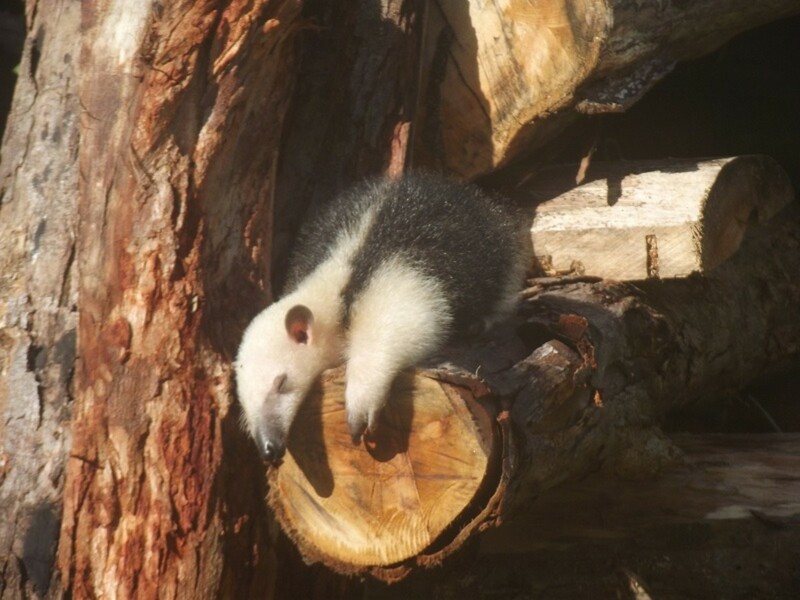 If you live in an area with temperatures in the upper nineties, your tamandua can suffer from heat stroke if it does not have a burrow available. Until your tamandua learns to use the doggy door, do not let her stay out in the backyard. Are There Disadvantages to Keeping This Exotic Pet? Of course. They are expensive, and not as easy to obtain as a puppy or kitten. My first tamandua was given to me as a baby after a hunter shot her mother, but if you find a pet for sale at one of the wild animal auctions in the US, a young animal will cost between $3000-8000. The tamandua also has a distinctive odor. Although it is not a problem here, it will be much worse if you live in a cool climate and your house has to be closed up because of the weather. My tamandua is used to being bathed, but about once a month, I go into town to buy supplies and she spends the day on the couch. By the time I get home, the house smells strong. When it rains, she gets dirty and drags dirt in, but no worse than my dogs. If you are already used to having pets around the house, it is not much to get used to. How Do You Housetrain a Tamandua? Since I am such a fan of these little animals, I wish I could tell you that this is an easy area to deal with. My tamandua usually does her business outside, but sometimes, when she really has to go, she climbs off of my lap and does her business on my floor. Some tamandua owners use puppy pads. Like most exotic animals, the tamandua is generally healthy. Skin conditions crop up occasionally, especially after being bit by a tick. If cleaned and disinfected, the skin should never require antibiotic therapy. The skin on the nose is surprisingly delicate, and if they are bitten by ants they will suffer from local inflammation. You can use a mild anti-inflammatory cream but most animals will not need it. Since the tamandua digs a lot in the dirt, they are going to pick up parasite eggs. A dewormer like pyrantel is safe when given at the cat dose, but is off-label so no testing has been done. Take a stool sample into your local vet before giving any meds. In fact, no medicines are approved for this species. 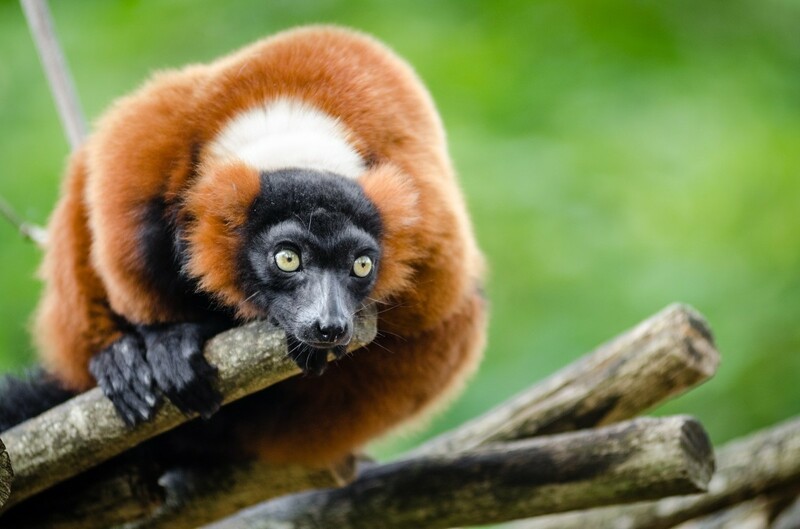 If you can find a veterinarian willing to treat exotic animals, this is your best bet. Be sure to take your tamandua in for a wellness pet visit as soon as you find a vet. Your vet can check the color of the mucus membranes and listen to her with a stethoscope so will know if anything is wrong on later visits. Many wild animals die when harvested for the pet trade, and unless you really want an exotic pet, I think you should look for one of the dogs or cats that need a home. To find a young tamandua to sell in the exotic pet trade, hunters will usually kill the mother. Unfortunately, both the adult males and females are often killed anyway. In some countries, tamanduas are hunted for their meat. 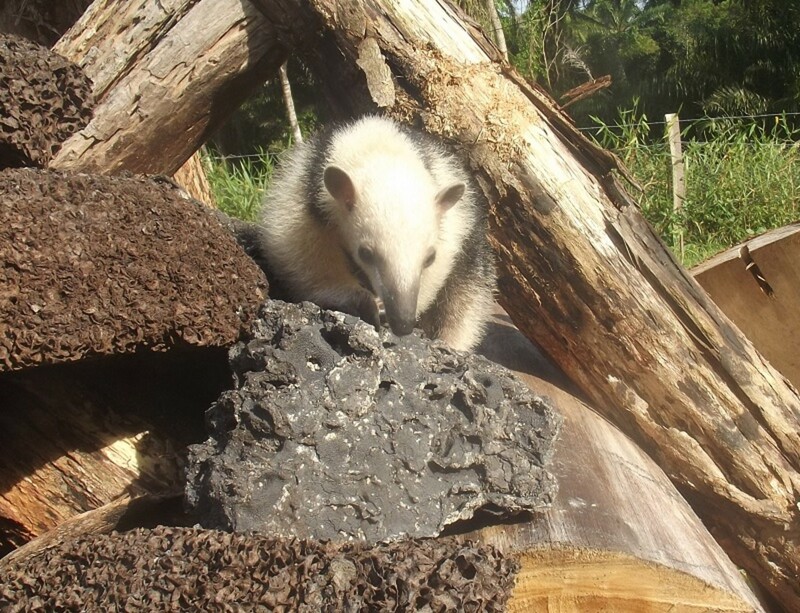 Brazilian Indigenous tribes will often keep a pet tamandua in their huts since the animals are always searching for termites and will control an infestation. Most other people do not want these animals around for any reason. Whether sitting on the couch with my tamandua and playing “footsie," watching her long tongue searching for termites in her eucalyptus nest, or finding her stretched out on the floor and taking a nap, I often smile when around this creature. The tamandua is about the size of a miniature schnauzer, and about as active and mellow as a lazy house cat. If you are interested in these animals and willing to do what it takes to care for one, take a few minutes and familiarize yourself with everything you can. Watch all of the videos on Youtube, read everything available (which, unfortunately, is not much), and if you have the chance, speak to someone that keeps a tamandua at home. How do you house a Tamandua? 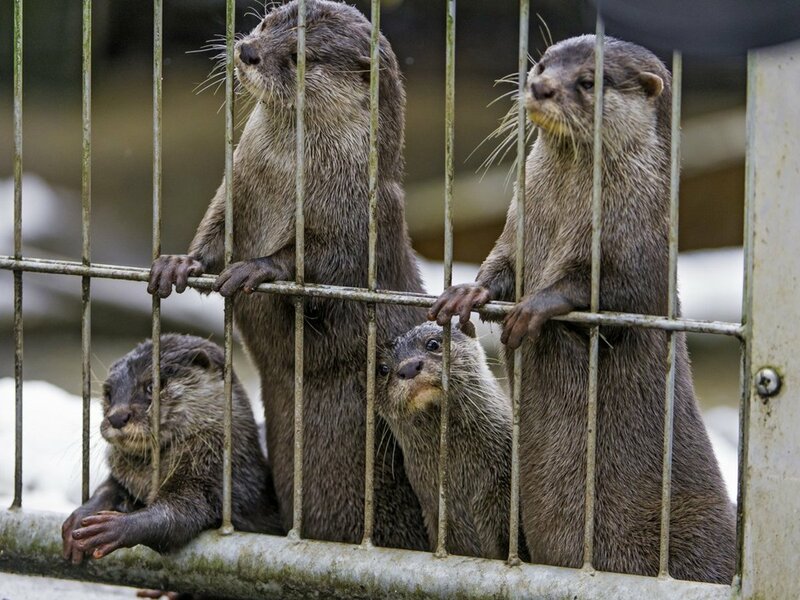 Do you get an enclosure and then bring them out? How can I tell if a Tamandua is healthy? You can examine him just like you would a dog. His eyes should be clear, his ears erect and not plugged with thick wax, his coat bristly and not missing any patches of hair. Look at his musculature. If he is too thin, the bones will stick out and you can feel all of his ribs. Feel the bones. Do you feel any lumps or any other strange lesions that you cannot identify? Before you go ahead and accept a $10,000 animal, you should take him to a vet (not the former owner's vet) and have him examined. The vet can also listen to the heart and palpate the abdomen. Where is the best place to buy a tamandua? There are sites on the internet where you can buy a tamandua. 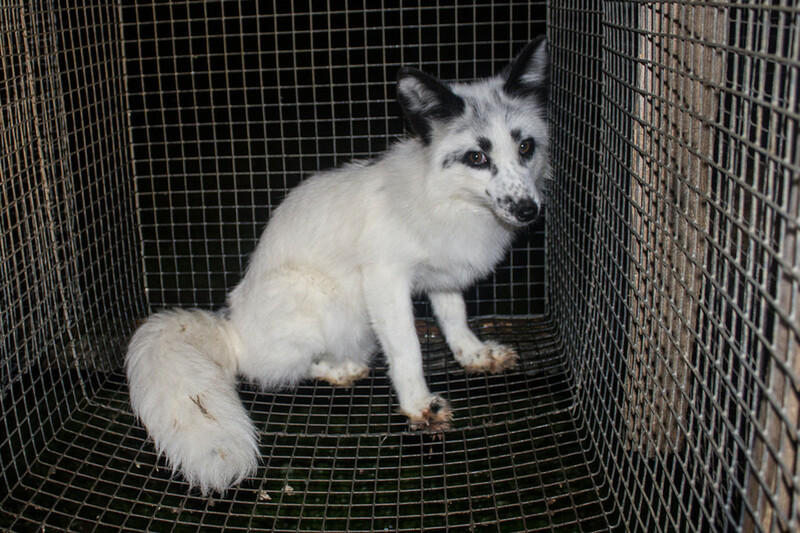 You have to be very careful and go to the location and look at the animal before you make a decision and pay for him. If he is older, and so wild that he cannot be tamed, you do not want to spend a lot of money on him. If he has been fed improperly for years and has serious health issues, you do not want to spend a lot of money for him. If you contact someone that is selling their tamandua through the internet, and they tell you that the animal is in great shape and a super pet, but you have to send a deposit through Western Union before someone else buys him, hold off. If you do not see him, and pick him up yourself, the tamandua might not be as described, or might not even exist. 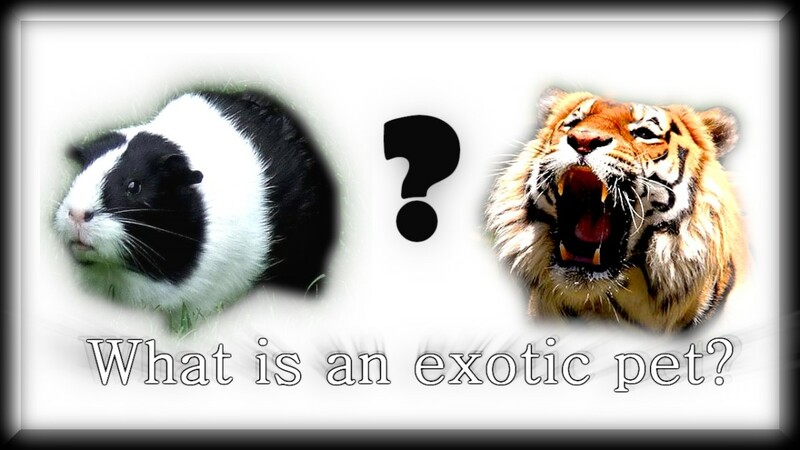 Who Is Exempt From Exotic Pet Bans? Alejandro, if you are in the US there are several sites that sell wild animals. You will just have to do a search and look at each one. If you are going to go through with this, be careful. You may only find a Tamandua far away from where you live, and the owners might ask you to send a deposit before seeing him. I would not advise doing so. do you know any places to get a tamandua? I have the time, space, and money for it and I am very curious about getting one, except I don't know where. Hi Jeff I did see a video of a petting zoo in San Diego, California that had a Tamandua that interacted with the public. I am not sure if this is still the case. 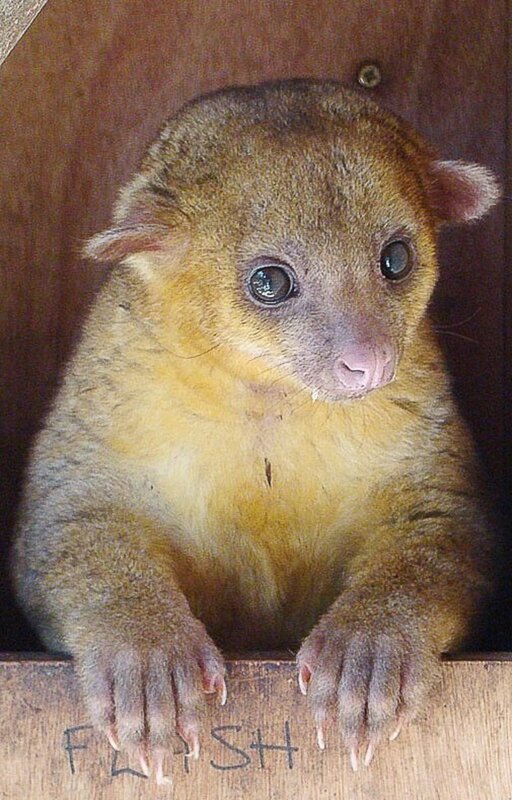 cherishum--I do not know if Tamanduas are legal in Hong Kong. If you live in an apartment, though, I do not think they are the best pet. They are very expensive, and as they get older the smell is so strong. Out on a farm or in a big house this might be okay. In an apartment this might be difficult to live with. If they are trained to accept different foods when young then feeding is not much of a problem. Vet care would depend on who you have available locally. Only when babies, Dr. Mark, LOL! Hi Suhail, thanks for reading. I cant even imagine one of these little guys living way up there. Want to trade me for a bear? They look so cute too (At least when they are babies). Dr. Mark, what are you wanting me to get into ha-ha? 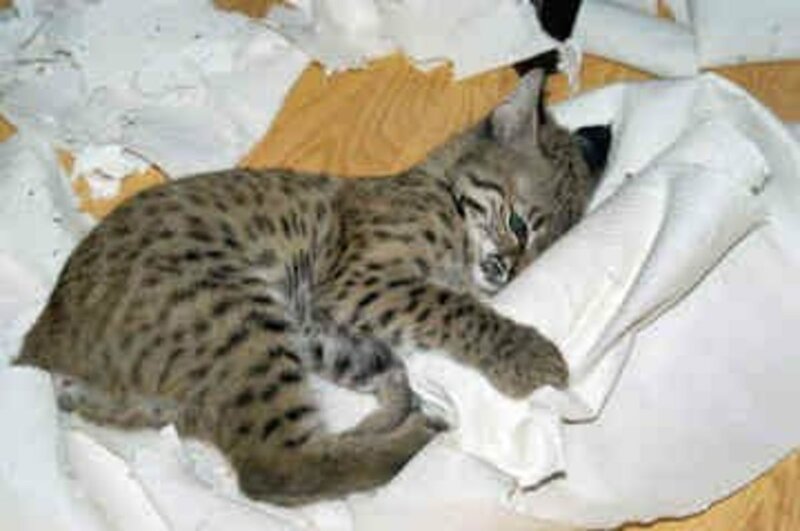 I will surely research more about their availability as pets in or near Toronto and see the practicality of getting one. But I do envy you for living in a beautiful country with all those exotic pets available. Perhaps your profession allows you to come into contact with them as well. They seem to be cute and utterly adorable. Hi Penny, they are related to sloths and are just as affectionate, hanging on to you all of the time, but they are a lot easier to feed and care for. And cute, too! I have never seen these before. They are absolutely adorable! I guess I better get out tomorrow and have a chat with the capyvaras. The best part of dealing with them is, many parts are edible. Yeah, I remember Euell Gibbons from the Grape Nuts commercials of the 60's. The "ever eat a pine tree" line took on a life of its own as people changed pine tree to any number of odd things. Listeners would instantly know what was being eluded to and would get the joke. If someone said they tried a new food and were asked what it tasted like, the answer would be, "wild hickory nuts." I think it put the Post cereal company on the map more than anything else. You've got to write a bunch of hubs on life in the jungle. Not only is it interesting, but can be funny as well. You can certainly tell more funny and interesting stories than dog and cat owners! A long drought stopped the tilapia business and now we have 450 coconuts. We have our place up for sale and hope to buy a sailboat. If you know anyone who's interested, there's a nice commission waiting. Thanks for reading, Linda. A tamandua is not for everyone, but they are pretty special. Bob, not so plush--her coat is sort of like a Brillo pad! I think that is to keep the ants from getting to their skin. They have no real enemies so are fearless and not nervous like many exotic animals. I think it took about 5 minutes to tame my tamandua--I wish puppies were so easy. In fact Ajej treated Grunt just like a puppy when she was younger. My monkey hates her (I think it is her wolfy face and big teeth that are such a turn off) but she does not seem interested at all in wild animals. The only thing she really wants to catch is an urubu (vulture) but that is only because they fly away when she chases them. Hi Mary, I´m not even sure you have them up in Ceara. My dogs love her, though, although my Fila puppy thinks she is one of her toys! Thanks for visiting. Are you out of the tilapia business? I saw your profile mentioned the coconut trees instead. You always have such interesting articles. I'd never heard of this animal before. It certainly seems to have found a good home with you. I will not be showing this article to my husband because he would think we should get one. As cute and interesting as you make it sound, I'll just stick to the dogs. I have not heard these even mentioned around here although we have a lot of termites, nothing seems to eat them. Couldn't settle for a hamster, huh? What a cute animal! I had never heard of the tamandua (apparently neither has the spell checker because the word earned a red underline), so this was an especially interesting hub. In the videos, the coat looks plush and clean. Is this their wild state as well, or were they groomed for the camera? I wonder, too, if they're bred for the pet trade and therefore somewhat socialized prior to purchase, or do they come straight from the rain forest? 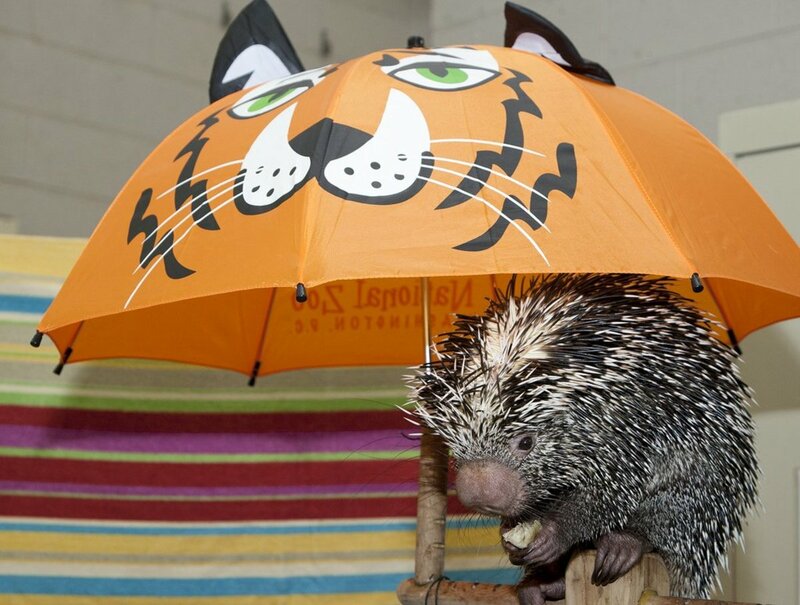 If they come straight from the rain forest, how long does it take for them to warm up to humans and relax as a pet? Does Ajej take exception to your lavishing such attention on the tamandua? Your jungle menagerie is a far cry from your beach menagerie, isn't it? Are there any predator/prey conflicts between Ajej and any of your exotics? You know what they say in Brazil...no home is complete without a capybara! This is a very interesting article. Your tamandua sounds like a lovely girl! Thanks for sharing the information about her and about keeping a tamandua as a pet.